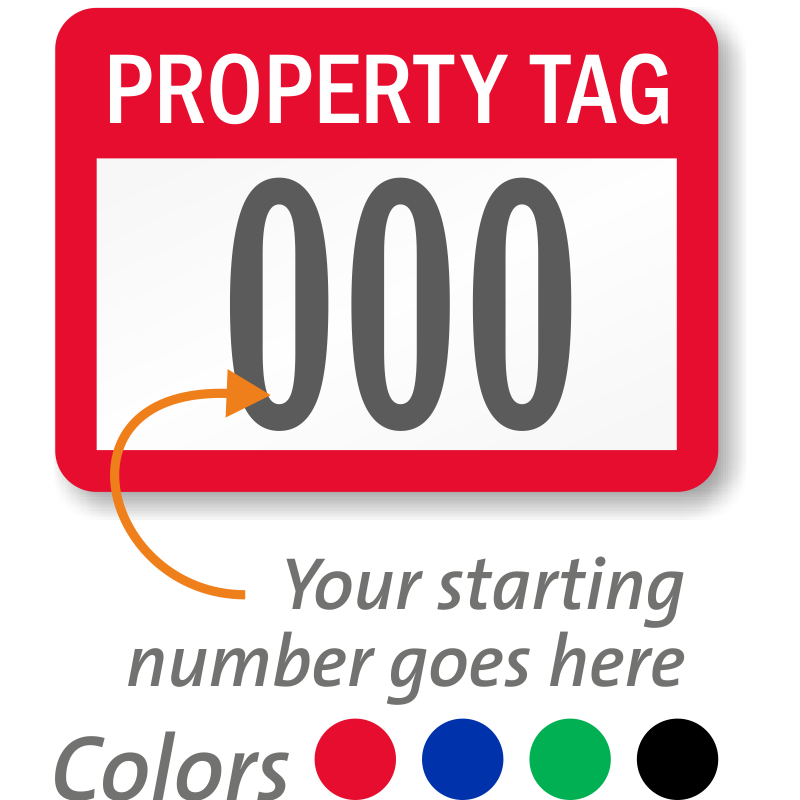 Make every piece of property count. 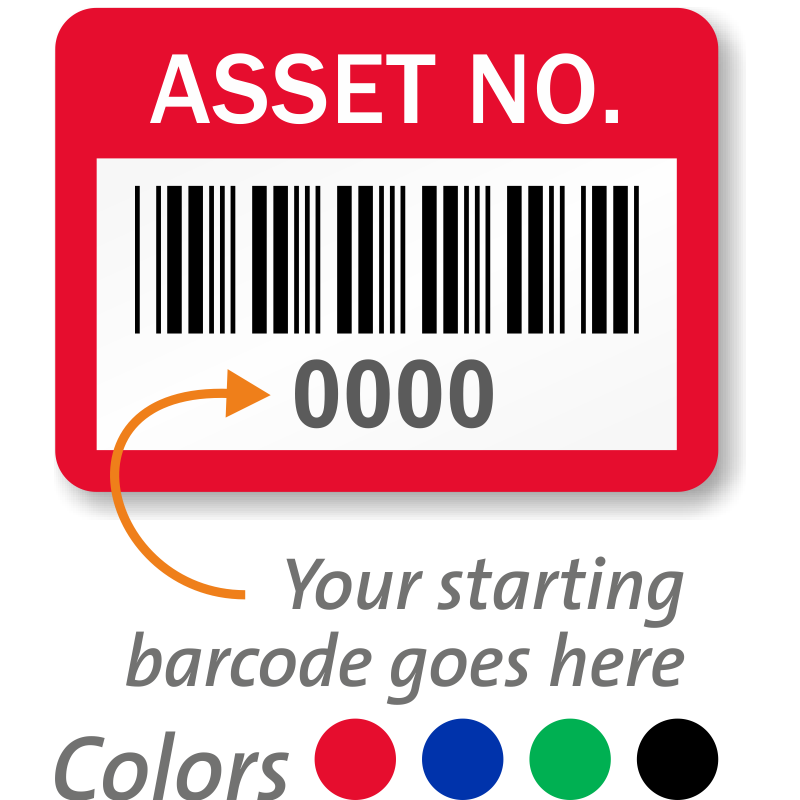 With several popular stock messages, these property labels make it easy to manage your inventory, bines, fire extinguishers, tools and more! 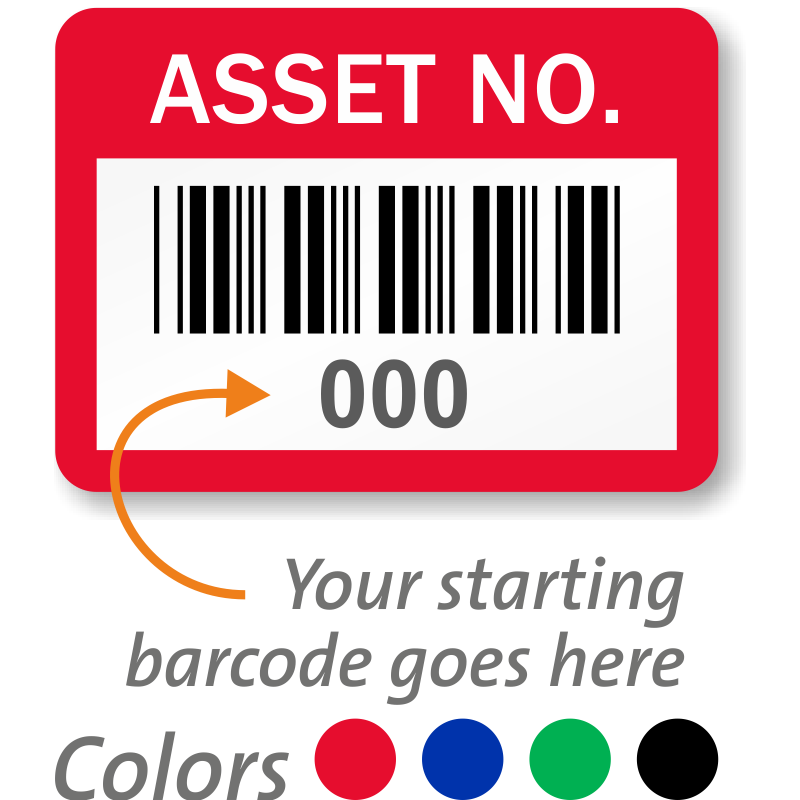 With consecutive numbered sets and easy-to-use barcodes, you can cut your inventory management time in half! 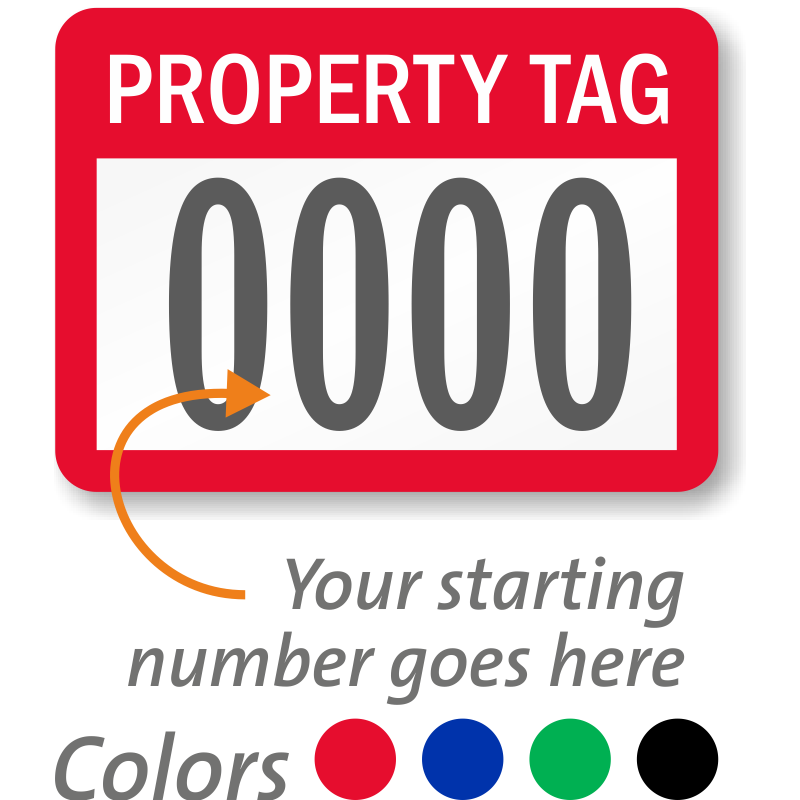 Each label features a bold headline, and you can choose from four different colors available. • Each set is consecutively numbered. 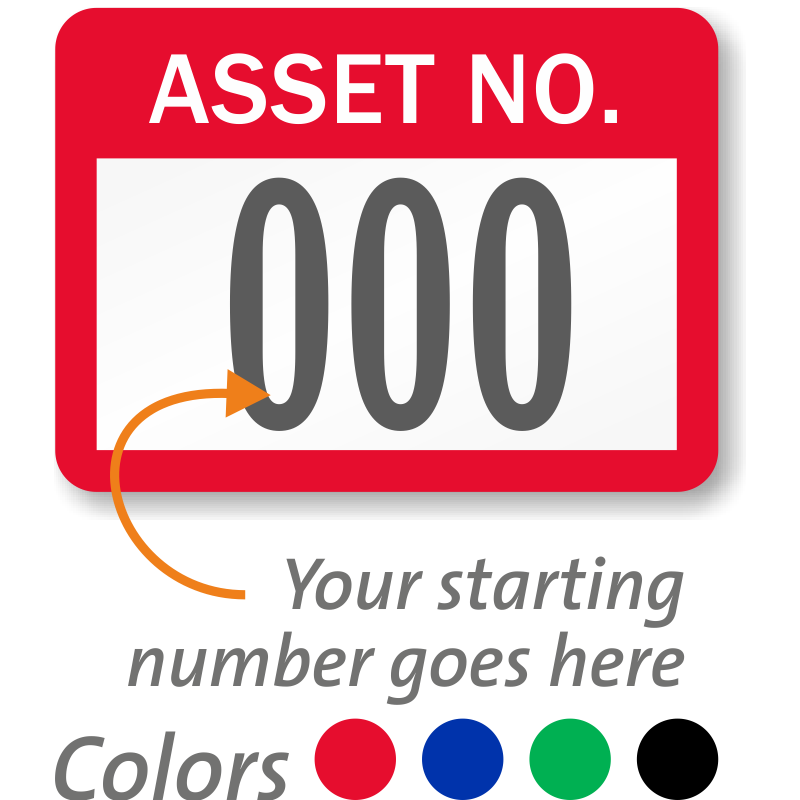 Choose your own starting number. • Choose from four different colors available. 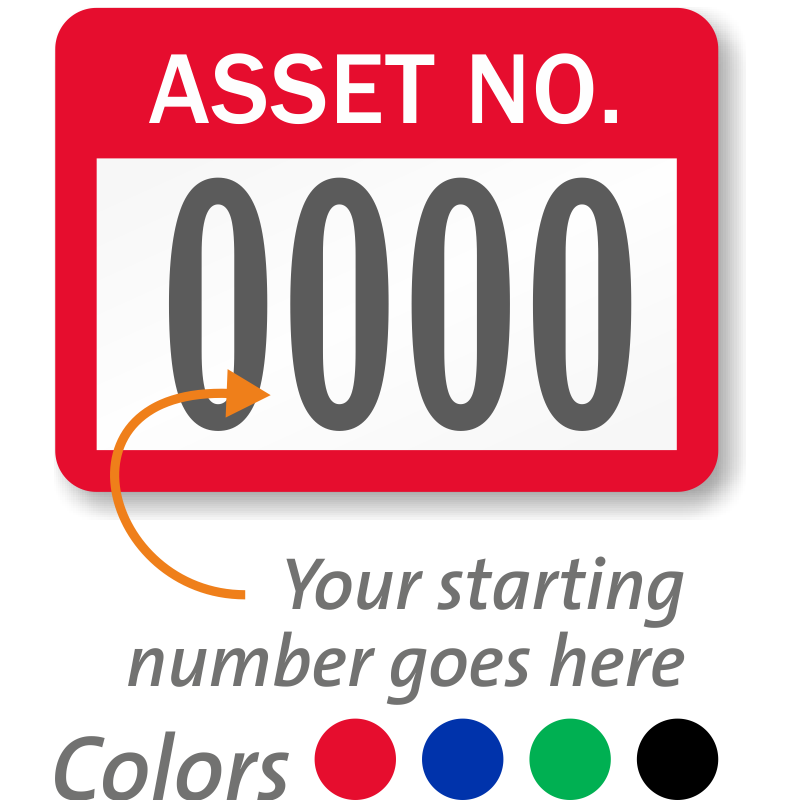 • Some labels have a blank space to fill in more detailed information with a pen, pencil, or marker. 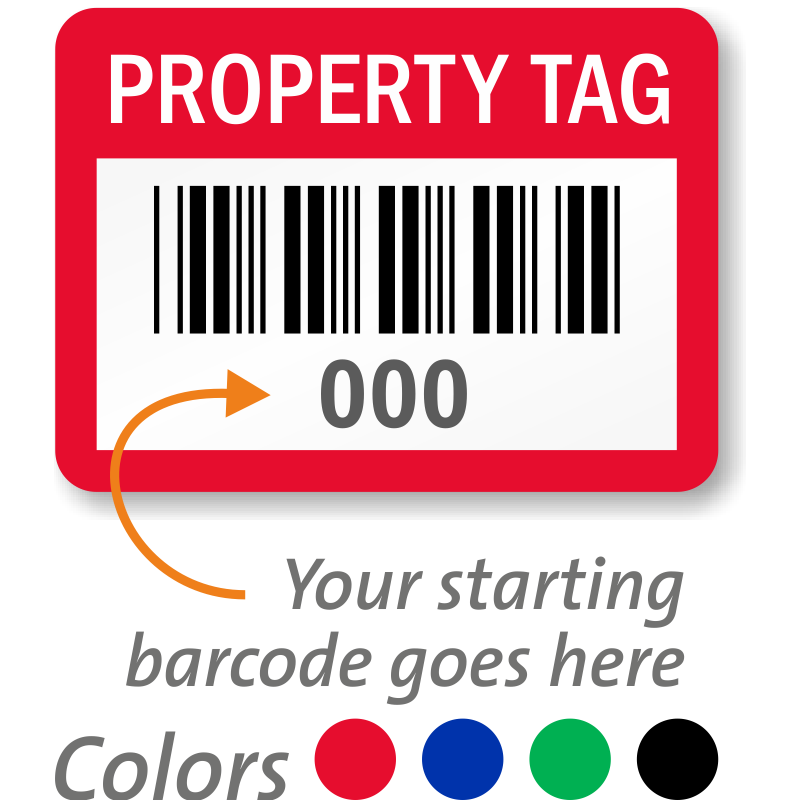 • Use barcoded labels to save time with busy inventory identification. 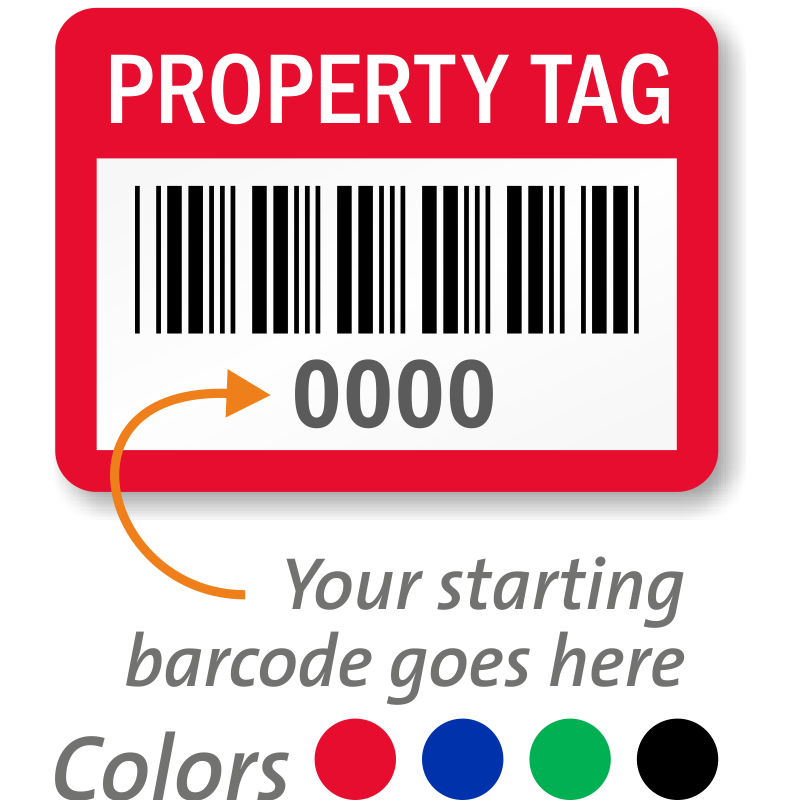 • Labels are available in packs of either 100 or 1000 labels. Mouse over a design for more information.